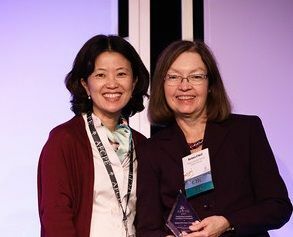 Share the post "Barbara O’Neill Receives AFCPE Distinguished Fellow Award"
Distinguished professor Barbara O’Neill, Extension Specialist in Financial Resource Management, received this award from the Association for Financial Counseling and Planning Education on 11/18 at the AFCPE Symposium. 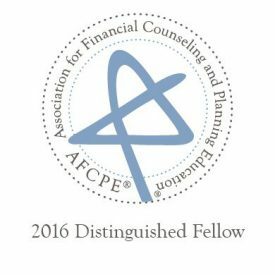 The AFCPE Awards celebrate innovation, expertise and leadership in financial counseling and education. Each year, AFCPE members have the opportunity to nominate colleagues who are doing exceptional work in the field of personal finance and all nominees go through a rigorous application peer-reviewed process. O’Neill was chosen for her significant impact not only to AFCPE but to the field of personal finance and for being an esteemed financial educator, researcher, practitioner, mentor and pioneer for financial education and wellbeing. “It is indeed an honor to have received the AFCPE Distinguished Fellow Award,” said O’Neill. For more on the 2016 AFCPE Award winners see PRNewswire.